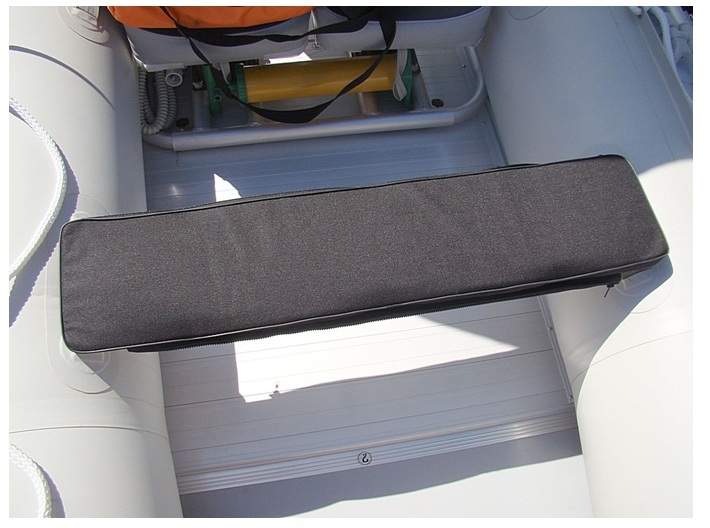 The deluxe seat cushion is 35" long by 8" width and designed to fit most of SATURN inflatable boats from SD230 to SD470, and many other brands of inflatable boats with seat benches. 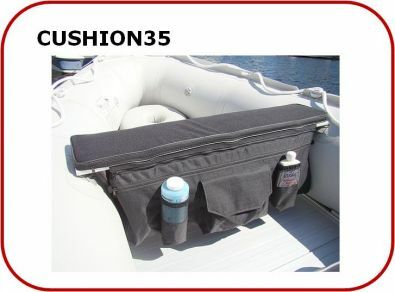 The under-seat storage bag is attached to the cushion with two zippers, and can be easily removed if you don't want to leave your valuables behind. 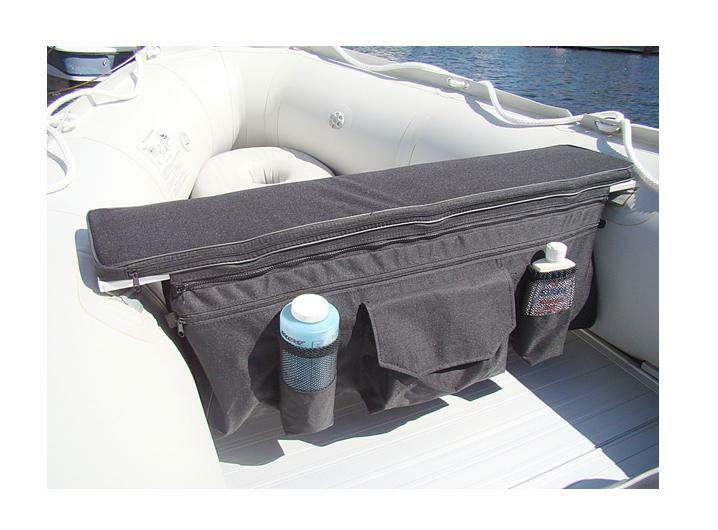 When the storage bag is removed, the cushion stays attached to the seat with Velcro straps. 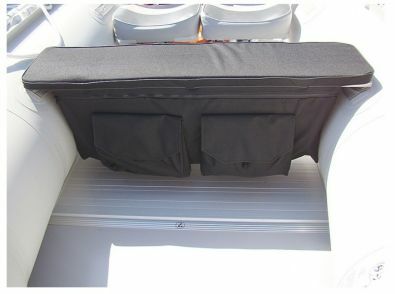 This seat is not meant to be kept under the sun all the time. Sun-UV is killing everything. Fabric is coated with UV protectant. For longer protection we recommend to coat it with 303 Fabric Protectant. 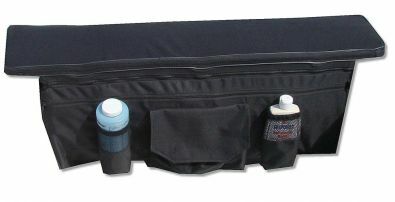 Fabric is water resistant and not waterproof. 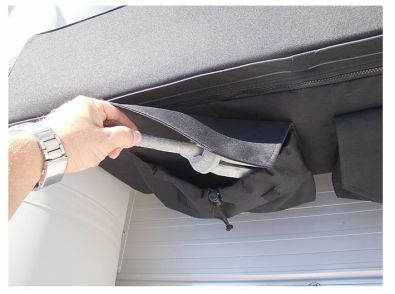 Zippers are drying out if kept under the sun and eventually break.